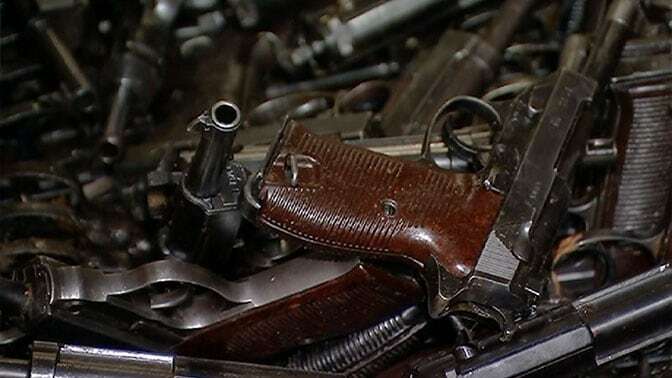 Sitting on cases of captured German weapons since 1945 with few takers these days, the Russians are planning on recycling some. 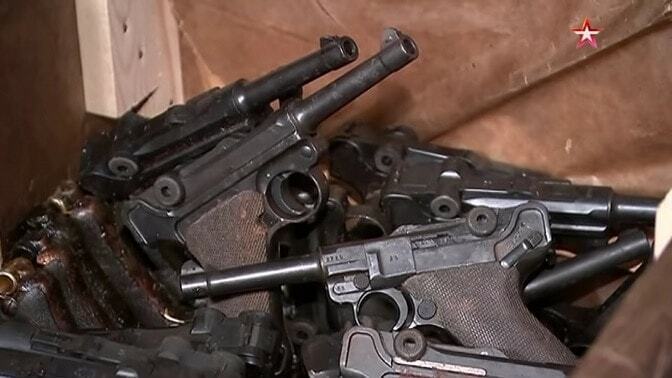 In the above video from Tvzvezda, the news outlet for the Russian Ministry of Defense, Major-General Igor Konashenkov is shown pawing through sample crates taken from a mountain of the same inside a dimly-lit warehouse near Moscow and showing off their contents– guns formerly owned by the Wehrmacht during WWII that have been under lock and key for over 75 years. 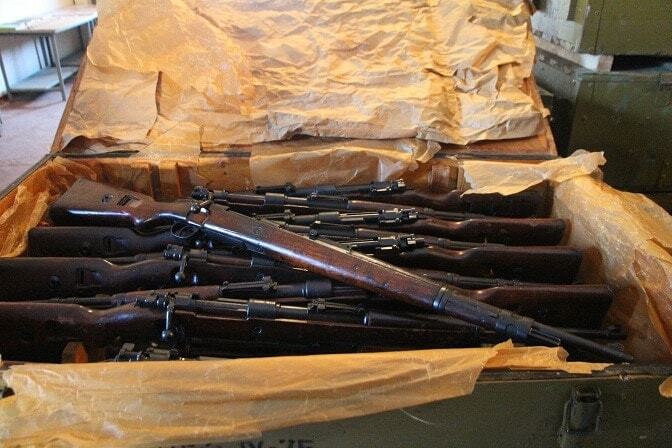 According to the FAN news agency, the Red Army collected more than 3 million such weapons during WWII and immediately afterward, and still have “a very significant amount of captured Wehrmacht small arms,” in storage. Like stacked nine cases high and dozens of cases deep in an Indiana Jones-style government warehouse type of significant. 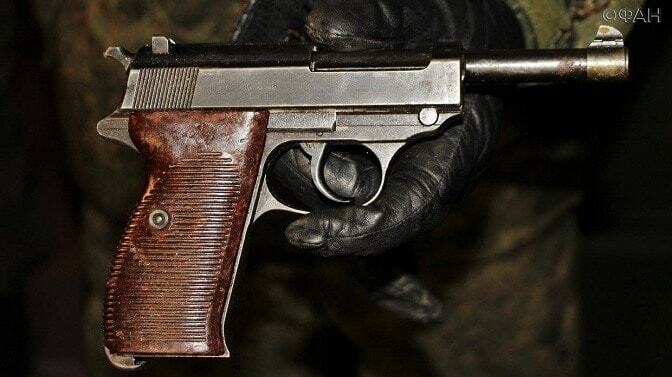 Defense Minister Sergei Shoigu last month said that the new Church of the Russian Federation Armed Forces will utilize the metal from some of the guns as walkways and steps, in celebration of the Soviet Union’s victory in what the Russians term the Great Patriotic War. “We would like every square meter to be symbolic, for this we will cast off the steps of the temple from the captured German equipment,” said Shoigu. 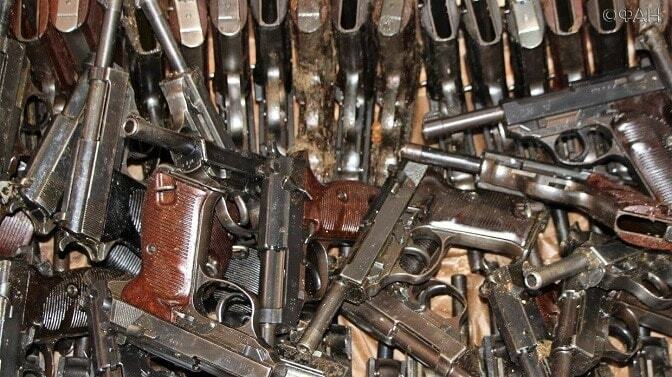 Among the firearms displayed are Walther P-38s, complete with wartime brown bakelite grips. 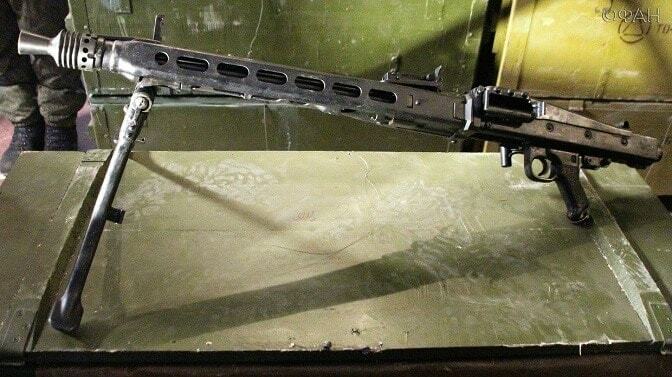 And MG42 machine guns that look like they just left the factory. 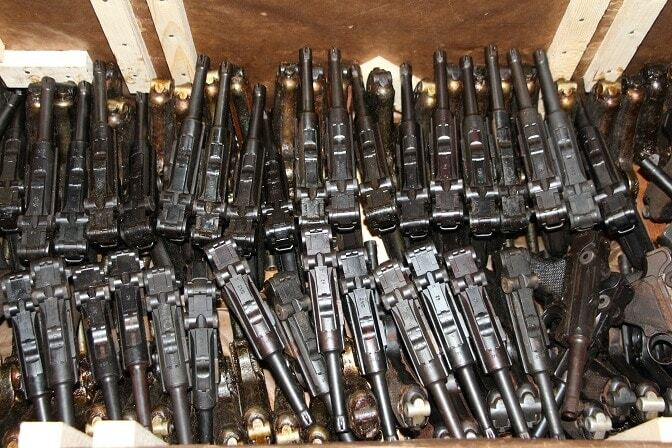 The Red Army, which occupied almost half of Germany in 1945, systematically disarmed millions of members of the Wehrmacht, SS, and Volkssturm, dutifully taking the functional weapons recovered back to the Motherland where they were arsenal stored. 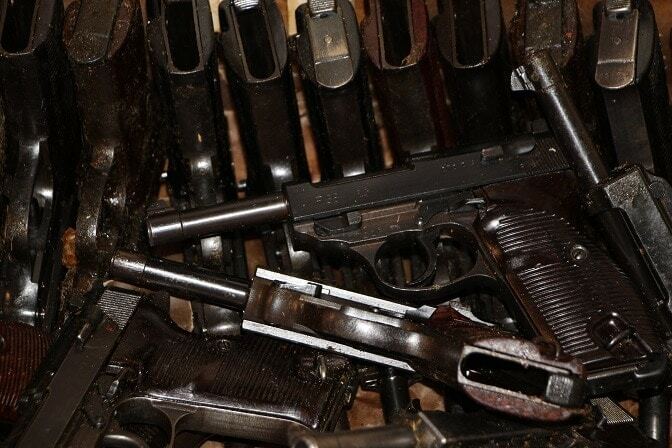 The Soviets did the same with rolling stock, banners, vehicles, art, machinery and even military experts– German gunmaker Hugo Schmeisser, among others, spent several years as a “guest” of the CCCP after the war. 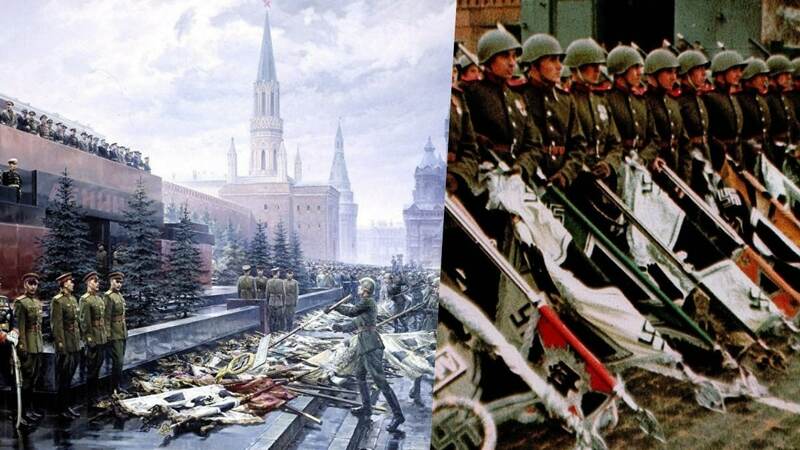 In the famous Victory Parade in Red Square in 1945, elite Guards units threw down more than 200 captured German flags at the foot of Lenin’s Mausoleum, from where Stalin and other Party functionaries watched. The Soviet Union lost something on the order of 27 million soldiers and civilians in the war, making the conflict personal to most households in the country, and its echoes continue. Then the Soviets, in the interest of expanding the greater Marxist-Leninist cooperation sphere in the early days of the Cold War, shipped out boatloads of captured German guns to overseas allies on the cheap. 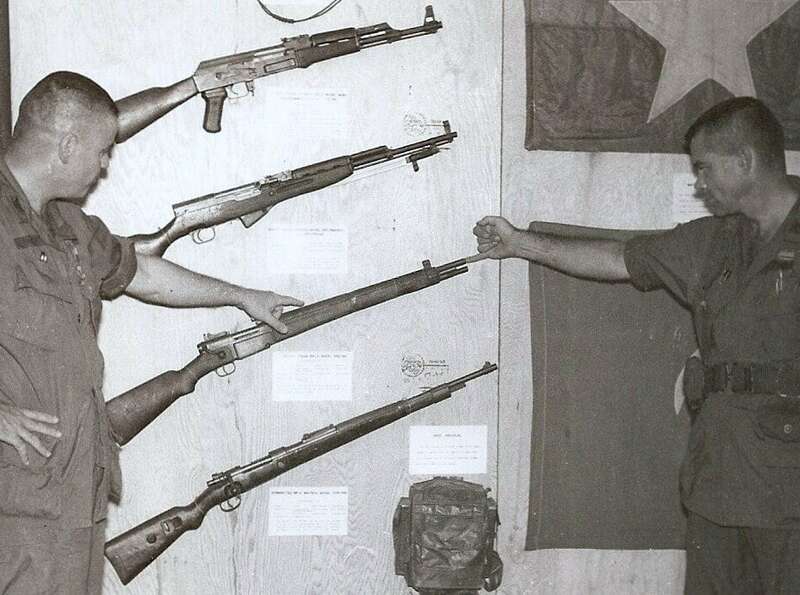 For instance, early Viet Cong units were just as often equipped with MP40s and Mausers as PPSh-43s and Mosins. 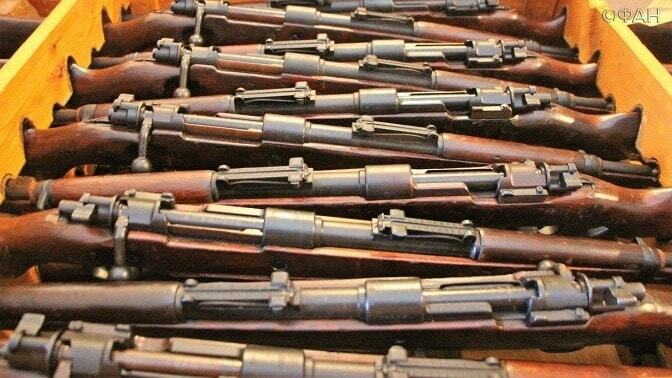 By the 1970s the demand for more modern guns like the AK left the vintage Nazi-era equipment, still apparently stacked sky-high, as unwanted and obsolete. Covered in cosmoline, the guns received regular inspections and regulated maintenance over the years just in case they were needed. 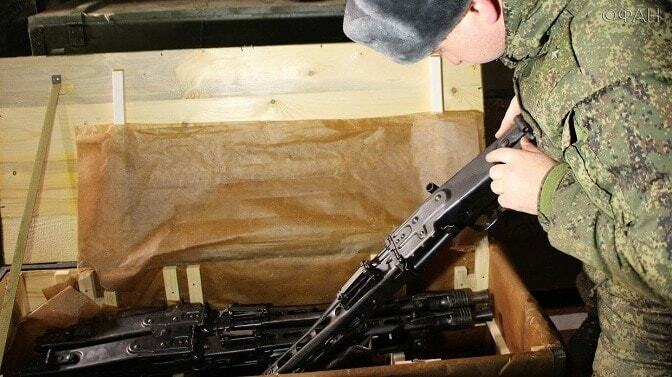 Meanwhile, with strict gun control laws in Europe and harsh regulation on imports to the U.S. in place, the Russians cannot embrace their new capitalist nature and sell the guns commercially. 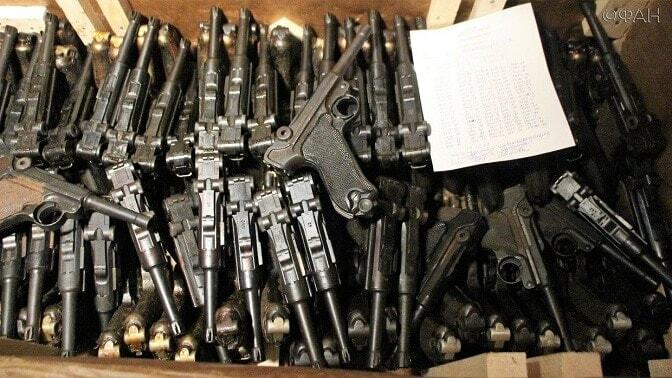 Konashenkov clarified that the weapons selected for use in the Church– for which President Vladimir Putin laid the cornerstone last year — will not be among the more historically significant in their warehouse. 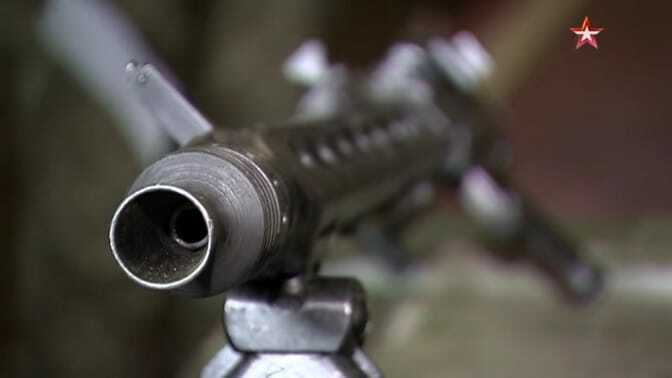 Local reports say that so-called “5th-grade” guns, those that are broken or in poor repair will be used for the project. 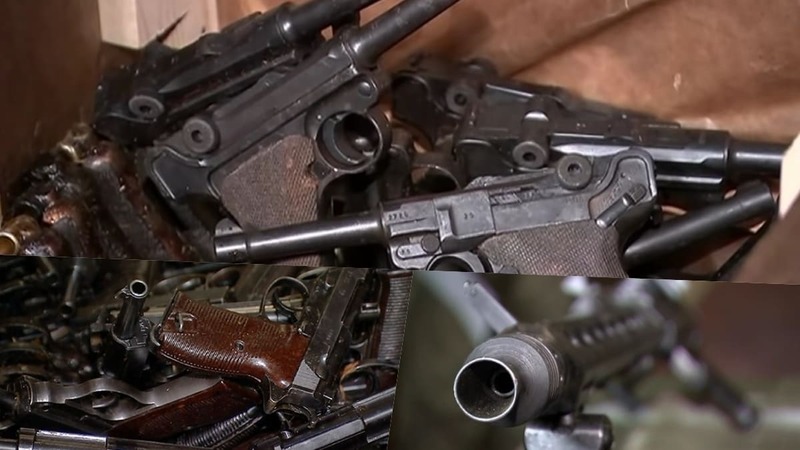 In all, some 1,200 K98 Mauser rifles, 800 Walther and Luger pistols and a “dozen” MG42s will be used in the church building process. 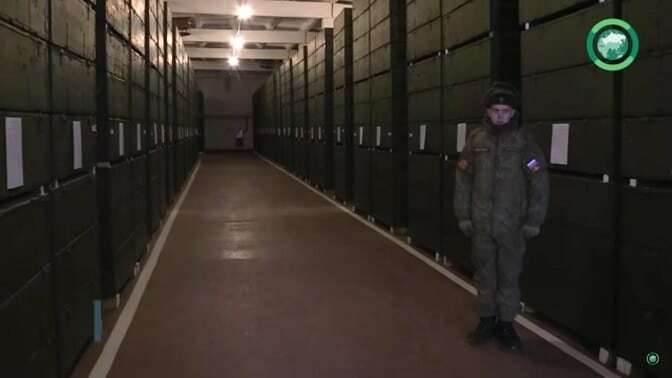 As such, it makes the whole dog and pony show of displaying what could be the “cherry” items in the Army’s collection as more a media event than anything else, something that Putin has always been a master of. 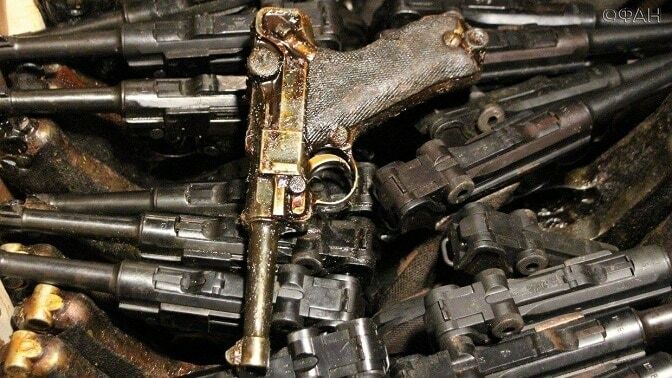 If nothing else, it keeps alive the fantasy that one day these treasures could find their way to the commercial market in the future, which would be great for those wanting a good deal on a Luger or P38 or two, and likewise terrible for those who have invested fortunes in WWII German militaria as the value of their collection would no doubt take a hit.